I look like a dork. 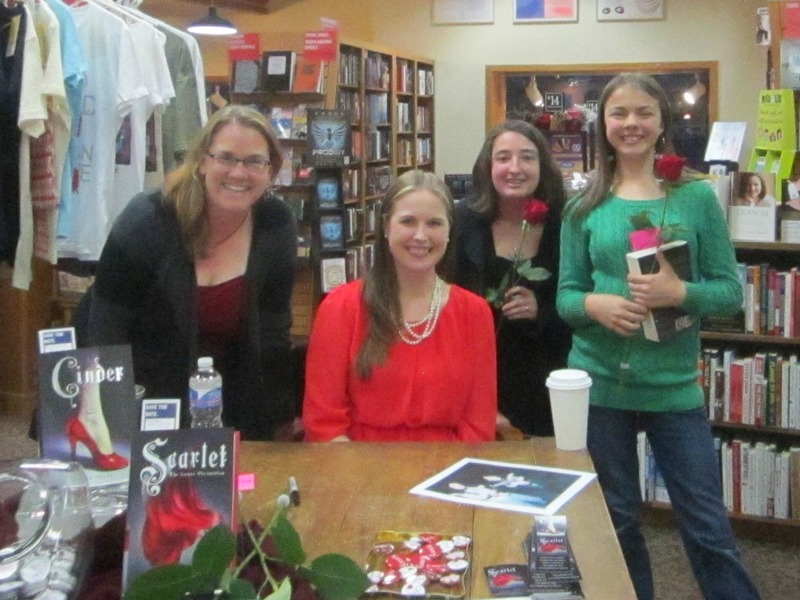 Marissa Meyer was in the store last night, and it was a lot of fun. I dragged one of my girls (C, on the far right) and she brought one of her friends (who keeps winning stuff whenever she comes to these things), and we had a thoroughly enjoyable time. Mostly because Marissa is adorable. She talked about how Cinder came to be published (she was super lucky! ), was really good about not divulging spoilers, told some pretty awesome fairy tales, and was just a lot of fun. I hope we can get her back for her next book; I’d definitely go see her again! Such fun! Sounds like you had a great time! She was such fun! Good to meet you and talk books!